Each year when Apple releases a new iOS, we receive emails from frustrated iPhone users asking for help after losing their text messages, photos, notes, and iPhone contacts. Below are three simple tips to help safeguard your iPhone data before you download and update your iPhone with iOS9. 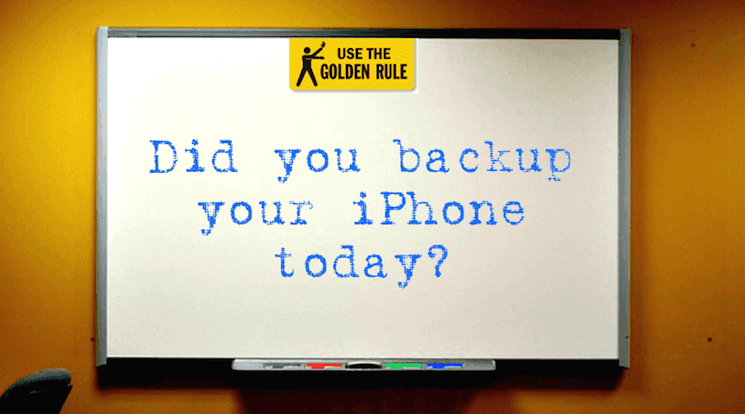 However, before we get to those tips, we must pay homage to the golden rule of how to not lose your iPhone data when upgrading your iOS: Always back up your iPhone or iPad! Here at the Decipher Tools office we have a big sign on the whiteboard that says "Have you backed up your iPhone today?" Backing up should be the first thing on your mind BEFORE you even think about updating your iPhone to iOS9. There are two ways to back up your iPhone and either option is a good one! iCloud backup - Apple enables all users to have a free 5GB of iCloud storage. iCloud will automatically back up your data each day via Wi-Fi when your iPhone, iPad, or iPod touch is plugged in to power, connected to WiFi, has iCloud enabled, and is not in use (the screen is locked). You can also force an iCloud backup at any time from the Settings app. Local iTunes backup - We recommend that you also make a “local” (non-iCloud) backup on your computer. This will serve as a safeguard should you ever encounter issues with your iCloud data. Making a local iPhone backup on your computer ensures that you have a copy of your iOS device safe and sound or your own personal computer. To make a local backup, simply open iTunes, select your iPhone, and press “Backup Now” and the process will start immediately. If you typically back up to iCloud, making a local backup will not affect any of your iCloud settings! Takeaway: Open iTunes and backup your iPhone today! 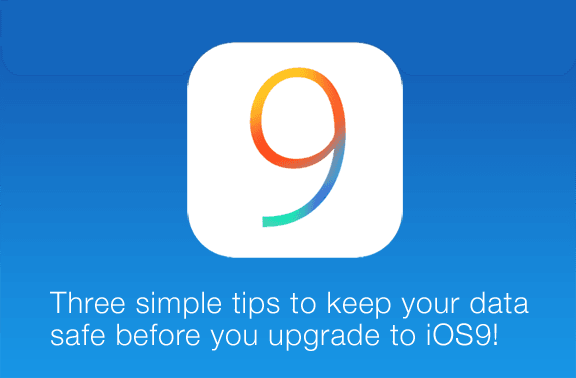 Don't chance losing all your iPhone data when you install iOS9. 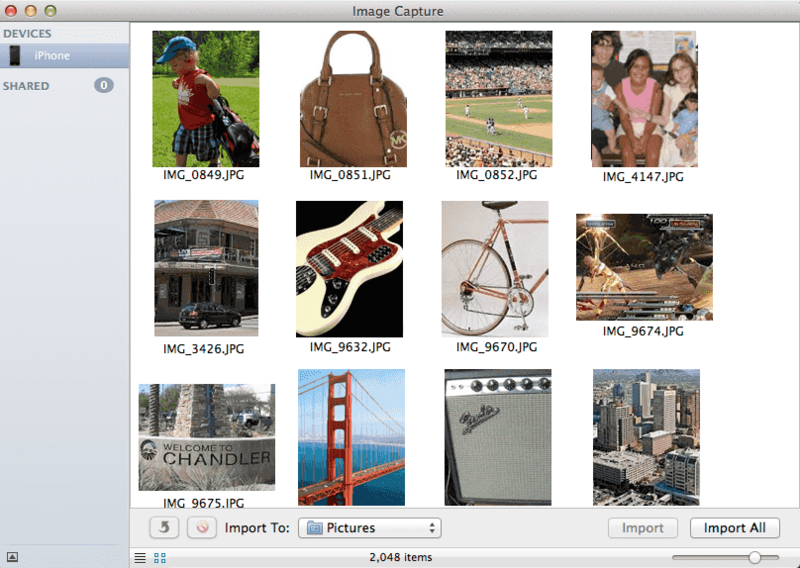 Mac - The easiest way to import photos from your iPhone or iPad to your Mac is either via iPhoto or Image Capture. We prefer Image Capture since it's very simple and straightforward. 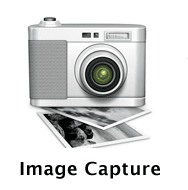 Navigate to your Applications folder on your Mac and then to the Image Capture icon. Plug in your device and Image Capture will recognize your iPhone or iPad. You can then toggle between a thumbnail view or list view from the options in the bottom left corner. You can select "Import All" button which will import all your media to your computer. You can also highlight only certain photos or videos and then drag them to a folder on your desktop. Windows - The process on Windows for importing your iOS photos or videos to your computer is similar. Click here for the step-by-step Windows instructions on how to import your iPhone / iPad photos and videos to your computer. One of the most common errors that occurs when an iPhone user updates to a new iOS is the loss of text messages. There are two ways to ensure that all your text messages (and iMessages) are safe and sound BEFORE you upgrade to iOS9. When you backup your iPhone to iCloud or via a local iTunes backup on your computer, your text messages, along with all your other local data are saved as part of that backup. Should you update to iOS and your text messages are lost, you can restore from a previous backup, however keep in mind that this will replace ALL of your data on your device with the from that previous backup. A secondary safety measure that many of our customers like to employ is exporting their iPhone text messages and iMessage to their computer with Decipher TextMessage. The software enables a user to save all their sms conversations and attachments to their Mac or Windows computer. This way, should you lose your text message data when upgrading to iOS9, you will have a copy of your entire text messages history on your computer. You can download the free trial of Decipher TextMesssage here. 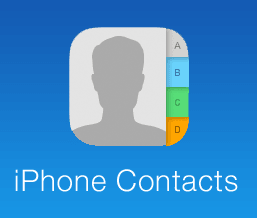 Losing all your iPhone contacts can leave you feeling helpless and without any way to contact your friends! Just do a Twitter search for "lost iPhone contacts" and you'll see how often this happens to iPhone users around the world, especially when they update their iPhone. If you are an iCloud user, you can also turn on the "Contacts" setting in your iCloud preferences to also sync your contacts via iCloud. Syncing your contacts with iCloud is an additional mechanism to make sure you have a copy of your contacts should you have problems updating to iOS9. We hope that the following tips have been helpful! If you have any questions, feel free to contact us via our Decipher Tools support page and we'll be happy to respond.